Strawberry ice cream for dessert. 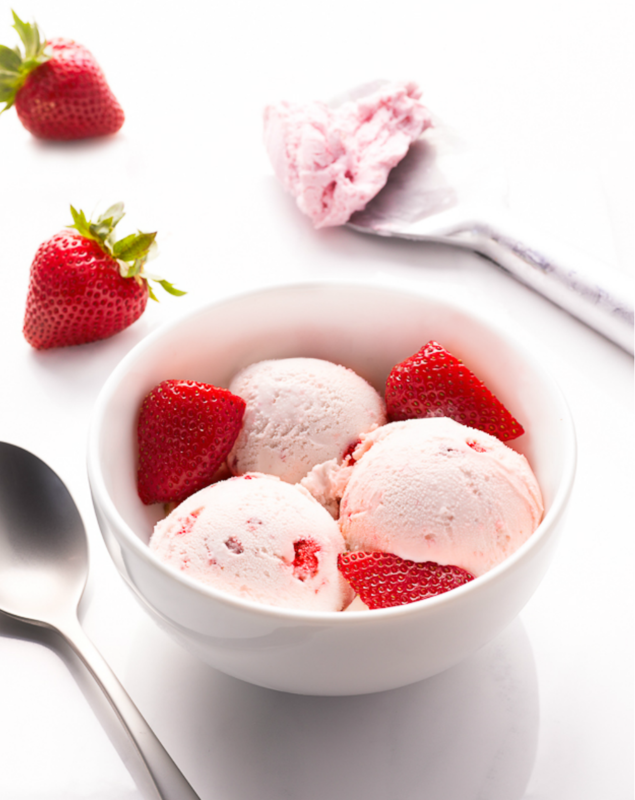 Fresh strawberries combined with a rich, creamy vanilla ice cream. Good after dinner. Or before. Anytime!